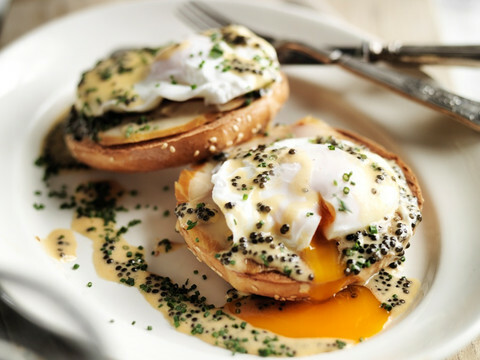 France in London | Caviar: put black gold on your plate! 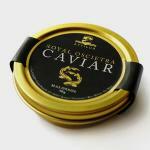 Caviar: put black gold on your plate! There is a reason it is called “black gold”. 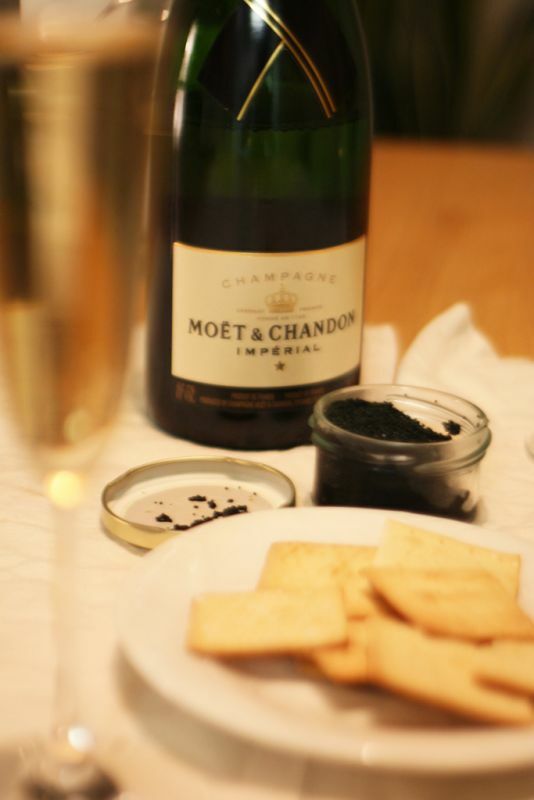 Caviar, always matched with champagne, is the symbol of luxury and glamour. On its own with a spoon or in a dish, it delights connoisseurs’ taste buds and surprises those experiencing it for the first time. We wanted to find out more about this delicacy and we met with Maria Stopnikova from Attilus Caviar. Caviar seems to have always been on our plates. Legend has it that it was already served during banquets in ancient Greece. But salted caviar as we know it was created by Persians during the 9th century. At this time, it was not a luxury food. Fishermen on the Caspian sea used to eat sturgeon eggs right after killing the fish, as it quickly spoiled without refrigeration. Caviar was progressively adopted on the plates of Tsars and aristocrats. In the Middle Ages, European sovereigns insisted on exclusivity and fishermen were forced to sell them their sturgeon eggs. 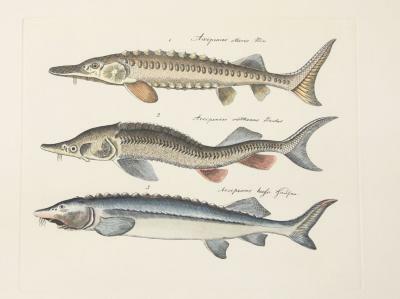 In the UK, sturgeons are "Royal fish"
In 1324, the British King Edward II declared that sturgeon was a “royal fish” and should only be served to people in the royal court. At the end of the 17th century, Louis XIV’s Finance minister, Colbert, encouraged caviar production in Gironde, as the Garonne river was a perfect breading ground for sturgeon. Restaurants started serving Caspian sea caviar after the Russian Revolution in 1917 because until then it had not been marketed to the general public. Some American bartenders served it for free to their customers as a salty appetiser to make them buy more drinks. In the 1980s, caviar became so popular that wild sturgeon stocks quickly declined and people started farming them. Wild sturgeons are now protected and sale of caviar from wild sturgeons is banned by the Convention on International Trade in Endangered Species of Wild Fauna and Flora (CITES). 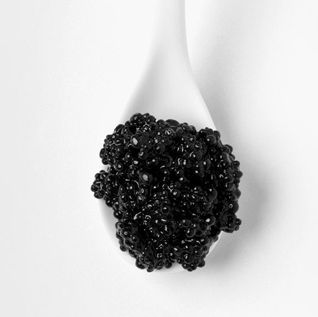 Caviar has always been associated with luxury. In films, champagne, diamonds and caviar make a perfect match. The price of this delicacy is generally high, making it a food for the wealthiest among us. But why so expensive? First and foremost, obviously, is the rarity of the product. Before wild sturgeon were protected by the CITES, the Caspian sea used to provide about 1,000 tonnes of caviar a year. Today, 150 tonnes are made every year by only 70 producers in the world. Another reason for its price is the time it takes to produce caviar. When a farmer gets new sturgeon, he has to wait three years before knowing if they are males or females. The fish will then have to be of a certain age to produce caviar, from 7 to 20 years old, depending on the species. Moreover, females lay eggs only once a year. Farmers must do ultrasound scans to be sure that the eggs are mature enough. Breeders eventually extract them, salt them and package them manually. Caviar can be found at between £700 and £5,000 per kilo. 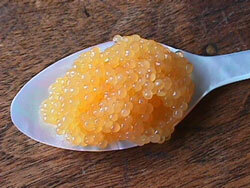 But “Almas” caviar, made from the golden eggs of the Iranian Beluga, costs as much as £20,000 per kilo. The most expensive caviar is the "Strottarga Bianco”, sold at €100,000 per kilo (£78,600). It is made of 22 carat gold sprinkled into white fish roe from albino sturgeon. This product beyond luxury has been created by the first caviar producer in Austria. But, do not worry, you do not need sell your car to enjoy a good caviar. There are many types of caviar, depending on the fish the eggs come from. As many as 24 species of sturgeon exist in the world, but not all of them produce caviar. First of all, the Oscietra, said to be the connoisseurs choice, is made from the Russian sturgeon and is generally between dark and olive green. The Baerii comes from Siberian sturgeon and is known for its spicy flavour. The Sevruga is from the Caspian Sea and its platinum eggs are smaller than the other types of caviar. Last but not least, the Beluga, which is the rarest and the most expensive caviar. It is made by the Huso Huso sturgeon. Its eggs are large and coloured from light to dark grey. The larger the eggs are, the more flavour they release when eaten. The firmer pearls that pop in your mouth are the rarest and therefore the most expensive. On the caviar boxes can also be seen “OOO” which means the eggs are of a light colour, “OO” meaning medium and “O” dark or grey. Light colours are rarer, such as golden caviar, whose pearls are yellow. Maturity is also an important criteria to classify caviar. Just like wine, the older the sturgeon, the better the caviar. And even though connoisseurs tend to prefer the Oscietra, you should try eating caviar according to your own tastes. Caviar is not just Russian! You may think that Russia is the largest caviar producer in the world, but you would be wrong. Since the prohibition of fishing wild sturgeon in the Caspian Sea in 2008, Vladimir Putin’s country has been overtaken. Surprisingly, China is now the world’s largest caviar producer, as Russian and Iranian farmers have passed on their expertise to their Asian neighbours. Italy is in second place and is also the world’s largest exporter. France is ranked third, producing 25 tonnes a year of its “Caviar d’Aquitaine”. Centuries after “Le Roi Soleil”, sturgeon still live in the Garonne, in the south-west of the country. The farmers there obtained the Protected Geographical Identification (PGI), to allow them to give the region's name, Aquitaine, to their caviar. Even if it is not part of the best known producers of caviar in the world, the UK also has its own sturgeon farms. The first British farm is in Devon, called Exmoor. But Britons have a special criteria to respect to be allowed to farm sturgeon: they must ask the Queen for permission. As they are labelled as a “royal fish”, they are a property of the monarch. Caviar is such a particular food that it is not easy to know how to serve it properly. Maria from Attilus Caviar gives you a few tips to avoid making too many mistakes. Be too generous or too stingy with portions. Have a minimum serving of 30 grams per person. The first spoonful of caviar is to accustom the palate to the taste, the second is to appreciate scent, flavour and texture. The third is purely for pleasure! Eat caviar on its own with a Mother-of-Pearl spoon. Avoid metallic cutlery that could alter the flavours. “Caviar is delicious on its own but can also work well with other foods as long as they're not too strongly scented such as boiled eggs, potatoes or scallops. Serve caviar on ice, as you can see in many films. Eat caviar directly after a strong-flavoured food. Russians clean their palate by drinking a shot of vodka so their tastes buds are not troubled by another flavour. And, of course, always drink in moderation. People usually think they should only drink vodka with caviar but wine and champagne can also be very well matched with it. Eat caviar like any other food. Eat caviar in a very specific way to fully appreciate its taste: put a small spoonful of caviar on the back of your hand, between your thumb and index finger. Then, without allowing your lips to touch the caviar, spoon the eggs in to your mouth and press them against your palate with your tongue until they pop, releasing a true taste explosion.